Nicki Kerns, Bruce Sawhill, Anne Elizabeth Thiermann, Colin Whitby-Strevens, and Vlada Volkova-Moran. The Oboe was played by Tanyia Rekow. Recording of this concert was compliments of John Haskey. Want to learn how our parish was blessed to receive this organ and interesting details about it? Click here! Be sure to visit Preston Boomer's web site. We are blessed to have him and his wife in our parish and we are so grateful for them both! 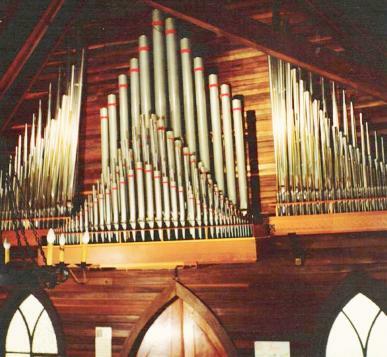 On his site you will learn about the Grand Pipe Organs of Boomeria he has built and many other creative endeavors he has undertaken.